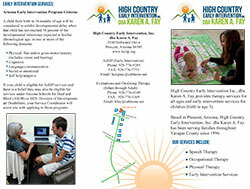 High Country Early Intervention, Inc. Dba Karen A. Fay is looking to fill many positions. 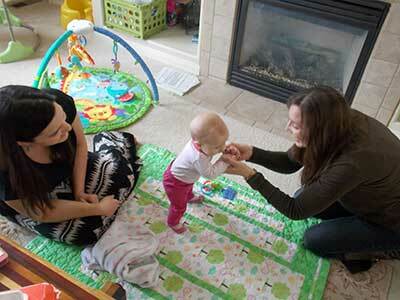 We provide services from birth to adulthood in office and in homes. We provide services to families with mild to severe disabilities. We are looking for therapists to work specifically in Yavapai County area. We have competitive wages and a great benefit package available. Our office is based in Prescott at the Crossings. Please fax resume to 928-776-7753 or email resume with cover letter to hceipinc(at)cableone.net. Applicant must have appropriate degree and State professional license. Part time and full time positions are open. For more information or to apply, please email or fax resume to 928-776-7753. Applicant must have appropriate degree and State professional license.